How many of you love Henry and Mudge? Have you read Anne and Snowball yet? In Cynthia Rylant's most recent series, which started in 2007, Annie, her father and her bunny, Snowball, live right next door to Henry and his big dog, Mudge. Henry and Annie have already been through many adventures together and spend a lot of time with each other. Even Mudge and Snowball get along! Rylant's newest addition to the series, called Annie and Snowball and the Thankful Friends (Annie and Snowball Ready-to-Read), is just in time for the Thanksgiving holiday. Annie is looking forward to a very special Thanksgiving celebration, but there's only one problem. The only people living with her is her father and her pet, Snowball. That's not enough people to have a proper Thanksgiving meal. Who can she invite to make the celebration even more grand and exciting? I'm loving that Rylant is adding more characters, like Annie and Snowball to extend the family of Henry and Mudge! We already have a few of the Annie and Snowball books and are happy to keep adding to the adventures! Enjoy! 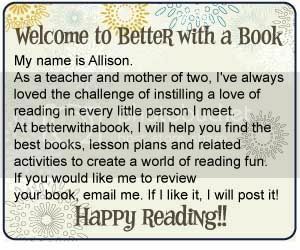 As my first grader is getting close to being able to read easy chapter books, I love the suggestion of a new series.